There’s a lot of (arguably hyperbolic) language popping up in the news lately about the physical retail industry. And on paper, it reads like a news report from a doomsday film. So what does this mean for retail? Is the sky falling? Or is this merely an opportunity to move beyond the ‘retailpocalypse” hype and evolve towards a more customer-obsessed retail model? The reason the whole “retailpocalypse” language has an exaggerated feel to it is that when it comes to actual sales, E-Commerce isn’t necessarily the winner. Digital retail only accounts for 10% of 2017’s retail revenue pie. E-Commerce companies are still growing at breakneck speed when compared to brick-and-mortar-based businesses. So how can physical retailers keep up, or even outpace digital retailers? They can make big moves right now towards customer obsession. Ok, so what does that mean? What we’re talking about when we say “customer obsession” is creating mechanisms for collecting and acting on customer feedback and implementing that feedback across every retail location and customer-to-brand touchpoint. The idea here is that physical retailers would be so in-tune with their customers that it would truly impact in-store experiences in real-time. This can all be accomplished when paired with Net Promoter Score® (NPS). NPS delivers on a promise of a one-question framework that gives you the right insight to help you both understand your customer and make impactful business decisions. Effective NPS helps you cultivate a rapid-growth mindset — all built on the framework of contagious customer obsession. In very basic terms, NPS is a simple way of measuring and taking action on customer feedback. 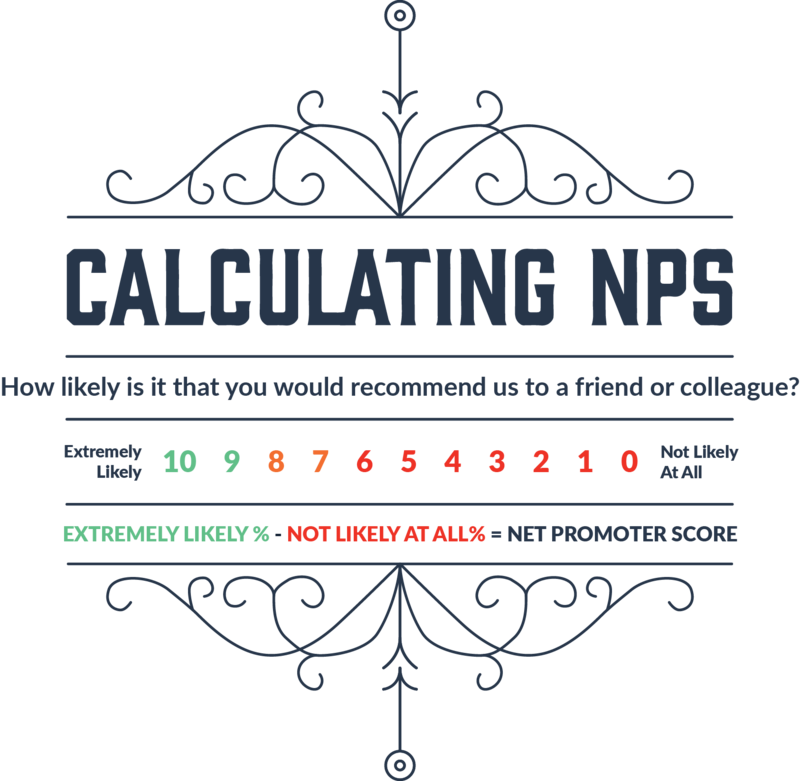 The NPS metric is based on two elements — a one-question survey and a 0-10 rating scale. Picture this: a customer walks into a store location. They complete a purchase and then they are emailed a survey. Your customer quickly responds with positive or negative feedback about their experience. This feedback is shared with the person who offered the fantastic or less-than-amazing experience. Now, as an organization, you are transforming customer service-oriented business into a customer-obsessed business because you are using real-time customer feedback to engage customers at every possible retail touchpoint at every location. When customer feedback is delivered to the right person at the right time, you are delivering a one-of-a-kind experience for each customer who engages with you in your physical retail location. The end is far from near. There is no “retailpocalypse.” The retail industry as a whole experience a paradigm shift into a customer-obsessed era of retail. We will likely see more retail chains shutter their doors, but the good news is that there is a real, palpable opportunity for organizations to step up and create meaningful customer experiences that make a real business impact. Correction: A previous version of this article incorrectly stated Abercrombie & Fitch was out of business. They are still operational.